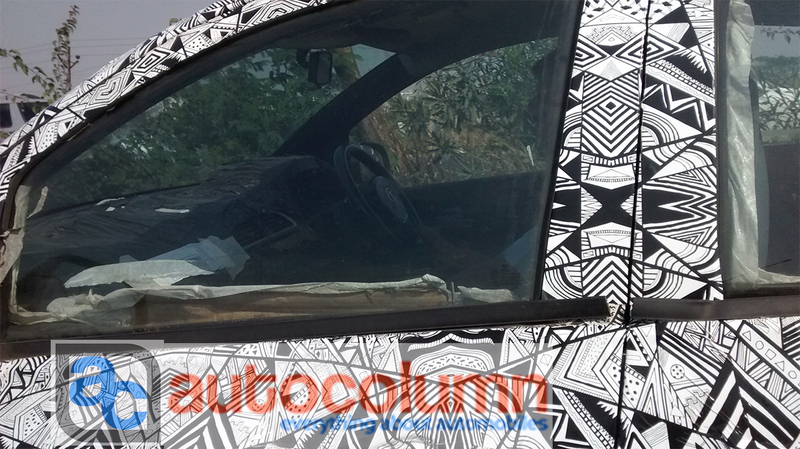 2015 Tata Kite spotted in Pune showing its interiors partially. The car comes with black dashboard and semi elliptical air vents for central AC duct. 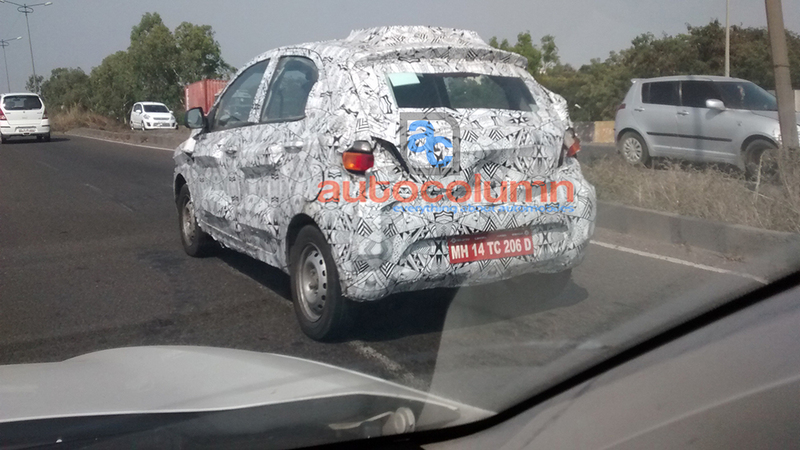 2015 Tata Kite is Indica replacement and its not based on X01 platform like Bolt hatchback. The Kite4 and Kite5 will be two cars from Tata Motors that will get launched in India in 2015 last quarter and 2016 first quarter. The Kite4 is Indica replacement and Kite5 is Indigo replacement. 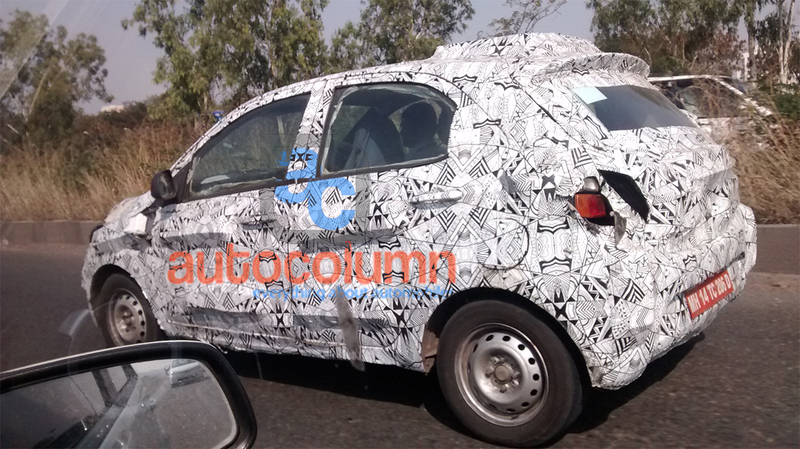 Both the cars will have a new design philosophy of Tata Motors that started from Safari Storme. Honeycomb grille and slopping back headlamps are part of it. Though the Kite hatchback is the replacement of Indica but it will not be targeted for taxi market. 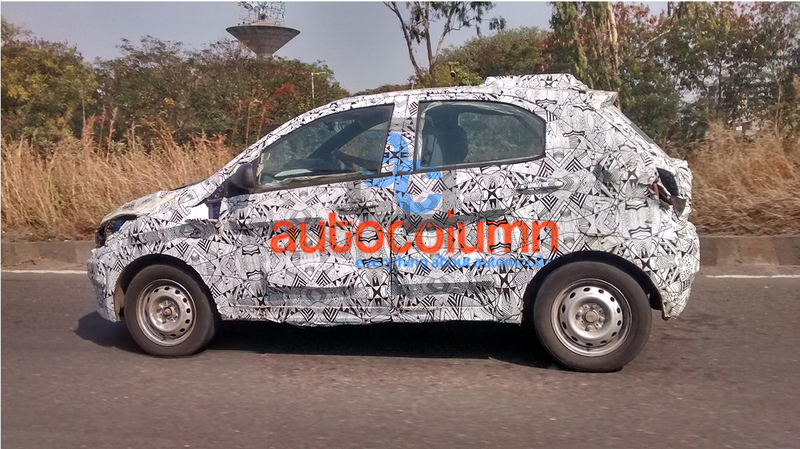 The main purpose of this car is to fill gaps between Nano and Indica by creating a competition for Hyudai i10, Maruti Suzuki Celerio. Under the hood Kite hatchback is expected to get non turbo version of 1.2 revvotron unit and new 1.05 liter 3 cylinder turbo diesel engine. Both the engines will get 5 speed manual transmission as standard and also an AMT variant for petrol motor.